Cannes 1968 | Based on truth (and lies). 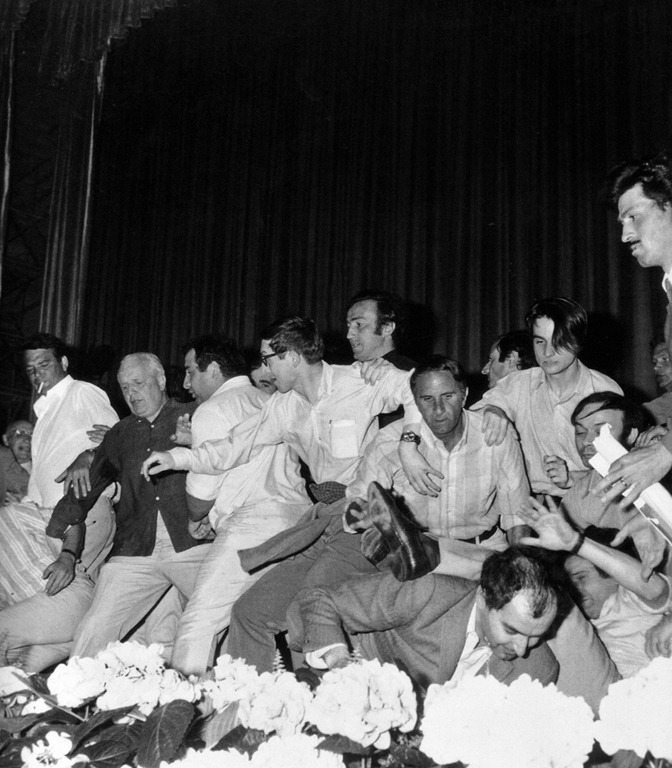 Godard loses his glasses and Truffaut takes a spill during the chaos of the abortive screening of Peppermint Frappé at the 1968 Cannes Film Festival. Peppermint Frappé director Carlos Saura and star Geraldine Chaplin were among those trying to prevent the screening as part of the ongoing efforts to shut down the festival. This entry was posted in CINEMATHEQUE and tagged Cannes 1968, Cannes Film Festival, François Truffaut, glasses, jean-luc godard. Bookmark the permalink.